On page and off page optimization are the most sought words in the dictionary of SEO. When someone searches with particular word on a search engine, on page and off page optimization help you find your website. Both of the activities help your website rank better, just the approach is different. On page optimization majorly refers to the way of structuring your website so that it gets found when certain words are put in search engine. The main motive is to rank better on search engine and be of value to the readers. 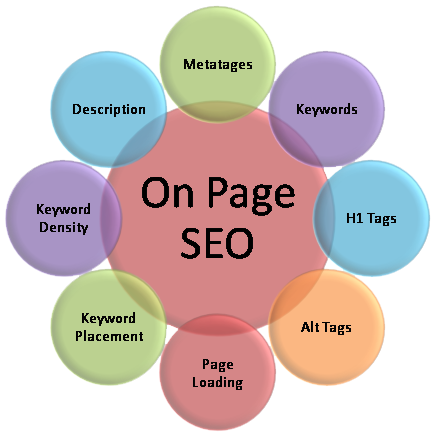 Five major components of on page optimization are- Page copy, Title tag, Meta tag, heading tag and interlinking. Off page optimization is a long term process and involves building online reputation. 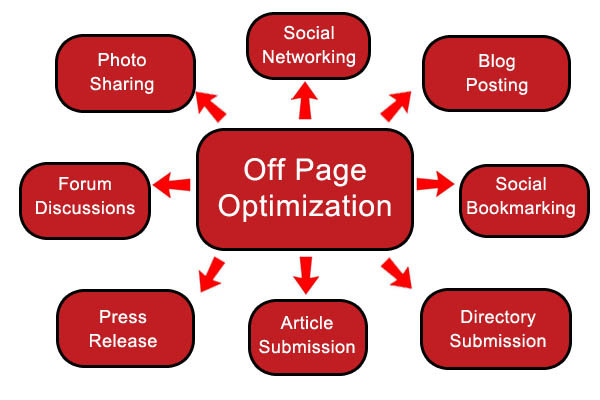 Activities like acquiring back links, promotion on social networking sites will come under off page optimization. If we compare the efforts of on page and off page activities, On page is much easier as it can be easily tweaked and make corrections to get visible results, whereas the result of Off page activities cannot be determined easily. If On page SEO is easier and helps get ranked better, don’t you think one must put extra effort on it? Here are 10 tips for doing efficient on page SEO activities. It is the first thing one sees when the reader has a first glance on your post, it acts as a major deciding factor for the reader for choosing to stay or leave. Hence it is utmost necessary to keep the title of the post very appealing. Use targeted keywords towards the beginning of the title tag to rank better. Also the ideal title character length is 65 words with spaces. Avoid random strings in your permalink, keep it pretty. One can do this by inserting only alphabets and numeric’s in the URL rather than strings and special characters. Insert targeted keywords in the starting of a URL. For bringing the main points to notice for readers, we make the text bold, Use h1 tag on the title of the post and keep it limited to the title alone, the subheadings and important points can have heading tags like h2,h3 and h4. Make sure you are not overdoing the heading tags. 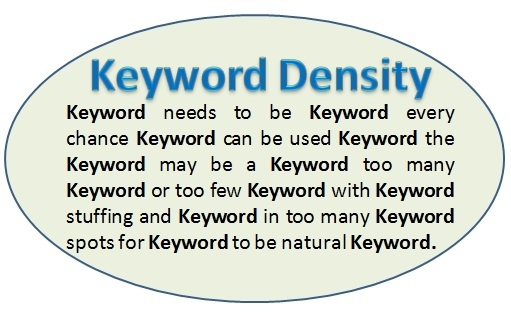 Keyword density means the number of times your targeted keyword appears into your content. One cannot it as many times as they want, neither can they insert it only for twice or thrice. Seo experts believe 1- 3 % of keywords is optimum, anything more than that can be termed as search spam. If you want to rank higher, keep description of your website in Meta tag, Meta tag acts like a little introduction between website and search engine. Use targeted keywords at the beginning of the description. No one wants to read a plain simple website; they want to gain some valuable inputs. Put several images in your website; too keep readers hooked to the website. Content must be informative and should add value to the reader; it cannot be too short or too long. Minimum 700 words can be called as the most optimum length of the blog. A longer length of blog, say around 2000- 2500 words does not harm the chance of ranking better. Infact a long article will give an impression of a well reaseached approach of the writer. Use keyword rich anchor text. One puts lots of effort to write each and very post of his website. It generally happens that some posts are getting high traffic whereas others are not aid attention to, In this case try internally linking the other posts of your blog, the reader will remain hooked to your website and help increasing the rank on Google. This powerful SEO technique helps to distribute the traffic juice to all your posts on the website. Use keyword rich anchor texts. External linking involves putting links on some famous and related website, so that the readers are diverted towards your website. External linking helps your website get noticed as the famous site has a large number of people visiting it. One must take care to approach the related website only on external linking. A good content specifies everything in detail and it should bring value to the readers. A highly productive an engaging content will draw a lot of traffic and help you to rank better on Google. When the reader is hooked to the content he will stay for long and thereby reducing the bounce rate of your website. Thus you saw that all the mentioned techniques are not a rocket science but do assure to be ranked higher on Google. This easy to do techniques, if followed will bring favorable result to them. But We are doing SEO to attract customer more and more so consider your customers while creating your SEO strategy. Now a days digital marketer’s job a bit difficult, as they need to understand how the psychologies of the masses work. What are the things they look for on internet? It is very essential to tweak the algorithms of the search engine accordingly. However, how to tweak the algorithms and adapt to the mindset of the customer is a big question upon digital marketers. The key to this lies in knowing the customer better, the below mentioned points can help you do it effectively. 1. Identifying need by getting feedback from customers -These are the simple questions, which help gain perspective and the like ability of customers put some questions with answers to choose from and an open-ended question for giving suggestions. You will be amazed to know how useful feedback you can get. It is essential to engage customers and give them platform to speak out; marketers must take efforts to know the curiosity, need and liking’s of the customers to excel. 2. Tracking customer life cycle mainly for ecommerce- One just cannot leave customer lost, it is wise to engage with him at every stage. 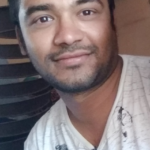 When a customer added a product in cart but did not purchase it, you must have certain marketing automation tools, which will lure him or bring that thing to his notice. At every stage being connected to customer and providing the information he needs will help bring better user experience. Certain tools like easy customer support, List of FAQ’s, transparent policies, frequent communication and the like will increase the user engagement by manifold. 3. Having competitive advantage- There is hardly any business, which is having a monopoly; there are several players in the market offering the similar products and services. One must have something unique to offer over their competitors to gain edge, all the players are continuously doing changes to gain larger customer base. 4. Establish brand image and know where you stand- Brands which focus on people before their profits are bound to grow and be successful. One should not think ‘what will bring me profits’ rather must think ‘how can I bring value to customers’.When you care for customers they will love the brand and be a loyal customer. Marketers should try to evaluate what image does the brand have in customers mind and try to implement ways to generate positive brand image. Thus identifying what customer wants and what appeals them is the key to successful SEO technique.